I recently came across an issue whereby the DWG geometry showed as jagged lines when imported into Revit as shown in the screenshot below. 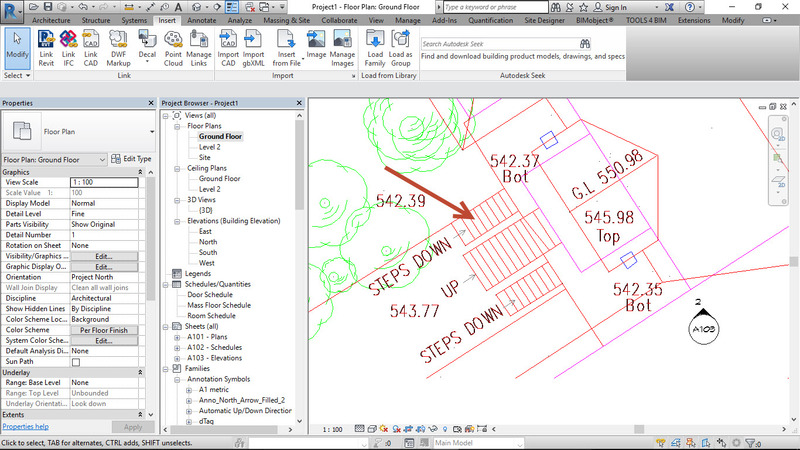 Have a look at arrow showing the architectural staircase in plan. The tread lines are jagged where it should be straight parallel lines. After troubleshooting we found that the issue was with the DWG file. Upon opening the DWG file in AutoCAD and you went Zoom extents you only see the relevant drawing but as soon as you Do a Zoom All you can see that the drawing spanned too large an area for Revit to interpret the DWG correctly. 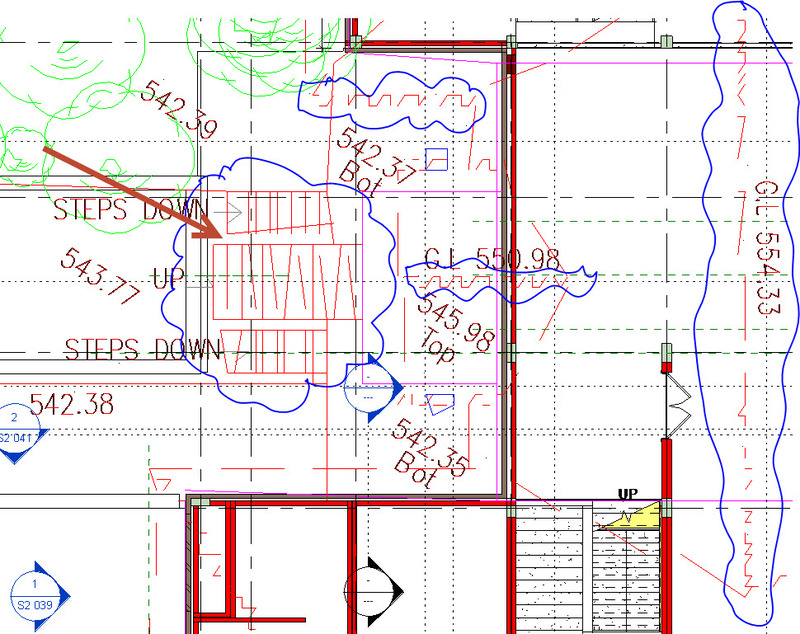 To explain: After doing to Zoom All in AutoCAD as mention above, the drawing is very small and tucked away in a corner. So that meant that there was another object or objects elsewhere in the drawing. Trying to delete these other objects failed as you cannot select them. So the only way to reduce the DWG area was to open an empty DWG file and copy and paste the needed information into this new drawing. When you then insert the newly creates smaller DWG file into Revit it shows fine without any jagged lines. We have added a wish to enlarge the readable area that Revit can handle in the Revit Ideas area so that people having the same issue or that agree with the wish can vote for the wish and thereby have the Revit Developers look into adding the feature into a future release.